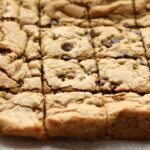 The texture of a brownie, the flavors of a chocolate chip cookie, the simplicity of a basic bar recipe, all of these things make this my go-to dessert on a regular basis. 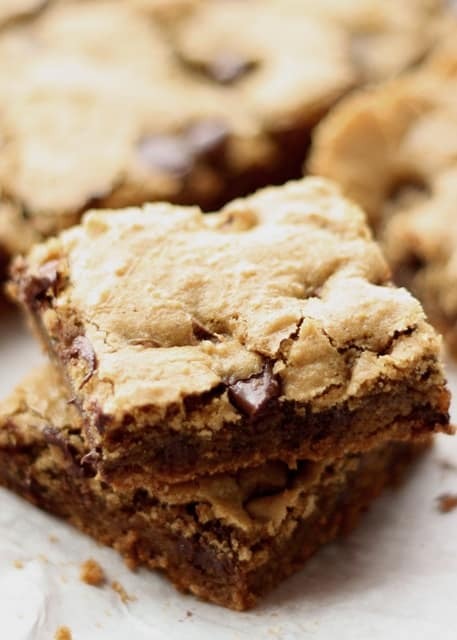 I’ve made these blondies countless times and they are always a hit. One of my brothers requests them each time he visits us. The best part? This is a very easy dessert to throw together whether in advance or at the last minute. I love to serve these when they are still warm from the oven and oozing melted chocolate. 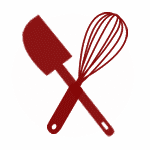 Preheat oven to 350 degrees.Whisk together the flour, salt, baking powder and baking soda and set aside. Stir together the melted butter and brown sugar until smooth. Add eggs and vanilla to the butter mixture and stir again. Slowly add the dry ingredients to the wet ingredients and stir to combine. Add the chocolate chips and nuts if desired. Pour batter into a well-greased 9x13 pan and bake for 23-25 minutes. 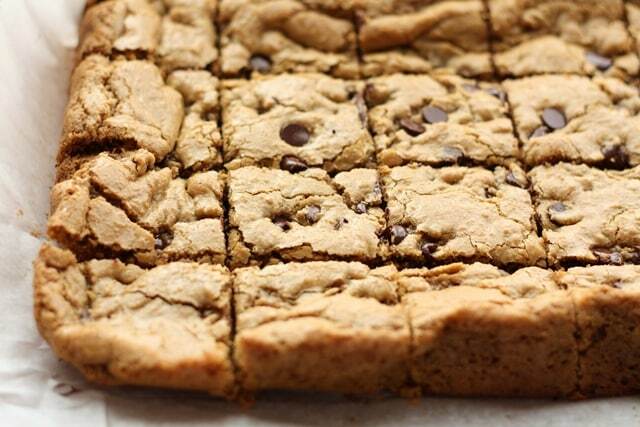 They should be slightly browned along the edges and about a brownie consistency in the center. Cool them in the pan and then remove to wire rack to finish cooling before storing in an airtight container. If you would like to serve them warm, cool them 10-15 minutes or so and then serve by themselves or with vanilla ice cream melting on top. Enjoy! Just made this today and had to add 5 more minutes...then had to add another 5 more minutes. They were puffy around the edges but flat and almost like an uncooked consistency. I made everything exactly like the recipe called for. Now an extra 10 minutes really didn't help. What happened? Without being in your kitchen with you, Kathi, it's hard to guess what went wrong. Have you tested your oven's temp recently? Did you change any ingredients? Double the recipe? Use a different size pan? Any number of things can affect cooking time. These should be puffy around the edges and somewhat soft in the center when finished, but not at all uncooked.